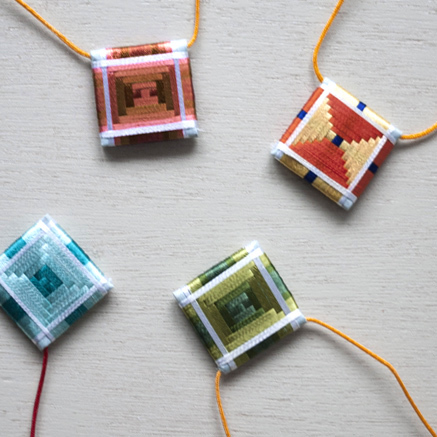 Insert a personalised 4-inch image of Dorje Shugden's entourage into one (or all!) of the large statues coming very soon to the holy grounds of Kechara Forest Retreat. Your name and dedication will be inserted into your personalised statue for a continuous stream of merits as prayers, offerings and circumambulations will be done at these holy sites daily. Vast merits are needed to overcome life’s difficulties and especially to progress on our spiritual journey. As we do not have the good fortune to see the Buddha directly, we need to take every opportunity to accumulate merits. This can be achieved through various methods. One method is to make offerings, prostrations and circumambulations around existing holy objects. Another method is to create or sponsor holy objects that become future sources of blessings and places of pilgrimage. When these activities are performed in relation to a suitable object of refuge, they become incredibly powerful acts of virtue. 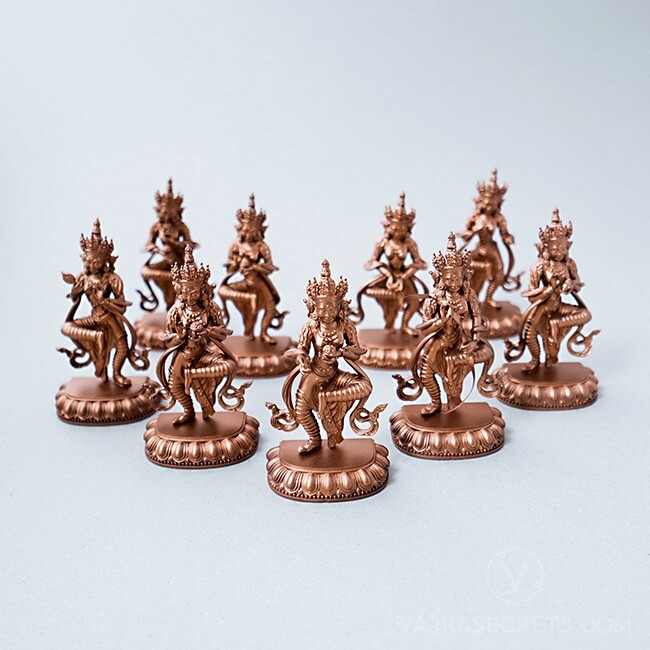 We are offering a rare opportunity to insert a personalised 4-inch image of Dorje Shugden's entourage into the large statues coming very soon to the holy grounds of Kechara Forest Retreat. Each little statue is a miniature replica of the Dorje Shugden entourage statues enthroned in Wisdom Hall at Kechara Forest Retreat. The members of Dorje Shugden’s entourage – the Eight Guiding Monks, Nine Mothers and Ten Youthful and Wrathful Attendants – are manifestations of his mind. Taking on various appearances and forms, they perform specific functions in relations to the practitioner’s spiritual path in general and practice of Dorje Shugden in particular. The Eight Guiding Monks assist practitioners by removing obstacles and creating favourable conditions for the holding of vows and the growth of Dharma. In particular, they assist sincere disciples in the practice of Sutra. 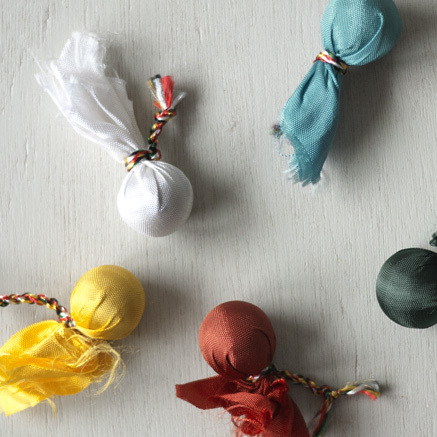 The Nine Mothers help us develop control over the four elements within our body and the five senses. In particular, they assist sincere disciples in the practice of Tantra in order to gain attainments through higher meditations. 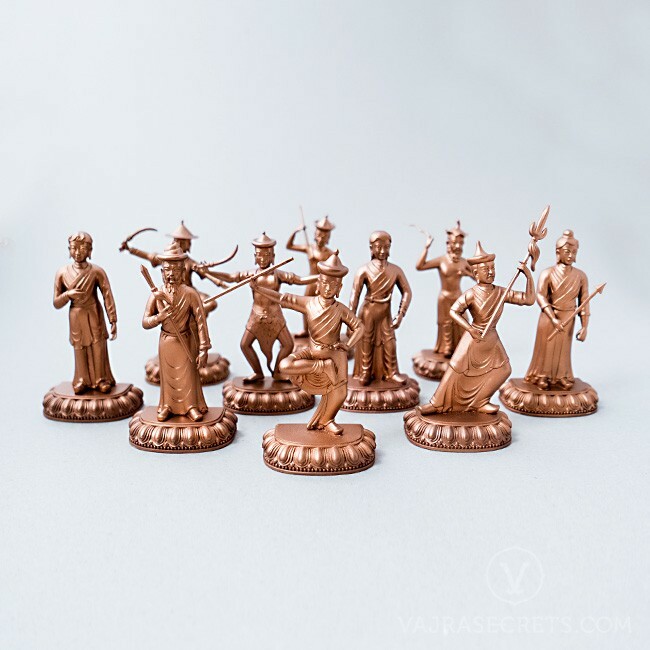 The Ten Youthful and Wrathful Attendants help practitioners avert inner and outer obstacles. In particular, they assist sincere disciples in keeping their commitments to their spiritual guides. Your name and dedication will be inserted into your chosen entourage statue along with mantras and other traditional substances. 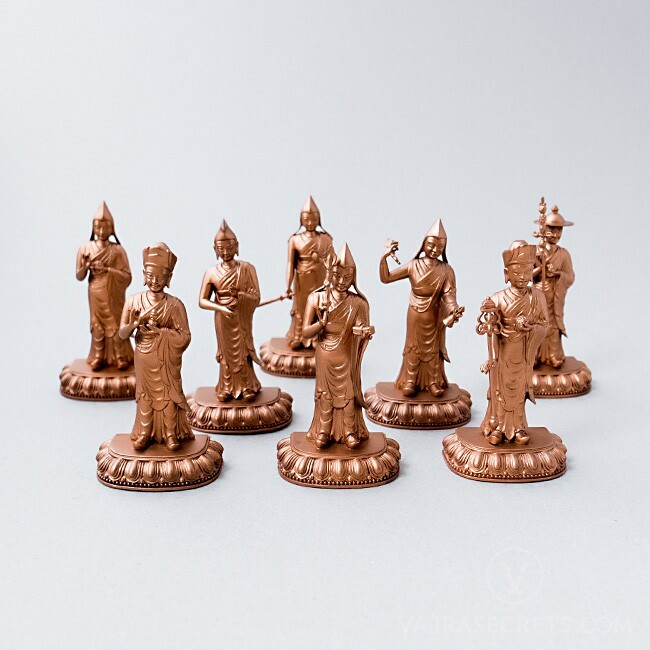 Your personalised statue will then be inserted into the large statue of your choice before it is installed, consecrated and energised through pujas and rituals conducted by trained Buddhist pastors. Don't miss this rare opportunity to receive a continuous stream of merits for yourself and your loved ones as prayers, offerings and circumambulations will be done at these holy sites daily. Choose a member of Dorje Shugden's entourage. Choose the name and dedication to be inserted into your personalised entourage statue. Tulku Drakpa Gyaltsen: The 17th Century contemporary of H.H. the 5th Dalai Lama who was renowned for his purity, exceptional teachings and unexcelled knowledge of Sutra and Tantra. 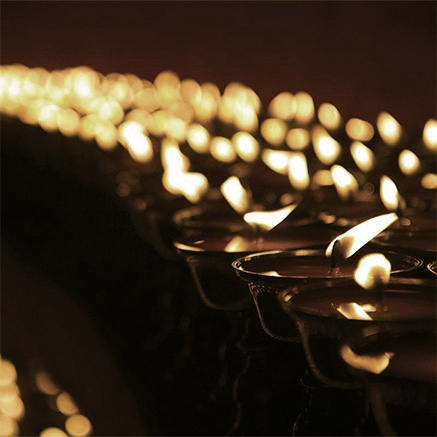 Upon his passing, he arose as the wrathful enlightened Dharma Protector Dorje Shugden. White Tara: The Mother of all Buddhas who bestows longevity, purifies negative karma, and averts life threatening obstacles. She is especially beneficial for the elderly and those in need of healing. Dorje Shugden Gyenze: The Wish-fulfilling Dharma Protector who is especially beneficial for increasing lifespan, material resources, merits, spiritual realisations, and all that is good. Magadha Sangmo: The female devotee of the historical Buddha Shakyamuni who single-handedly brought Buddhism to thousands in the ancient city of Gokhara in India. Mahasiddha Birupa: The master of enchantment who performed many miracles to bring people onto the Buddhist path. His most famous miracle was stopping the midday sun in the sky for almost three days. Thonmi Sambhota: The 7th Century scholar and advisor of King Songtsen Gampo who invented the Tibetan script. His reference texts are still studied today by those pursuing Tibetan grammar studies. King Trisong Detsen: The second of the three great Dharma Kings of Tibet who initiated the first dissemination of Buddhism in the Land of Snows and founded Tibet’s first monastery, Samye. Mahasiddha Naropa: The father of the Naro Kachö Vajrayogini lineage who was renowned for his indomitable guru devotion. He is also known for the Tantric practice of the Six Yogas of Naropa. Lotsawa Loden Sherab: The 7th incarnation of H.E. Tsem Rinpoche, Lotsawa Loden Sherab was a prolific translator who single-handedly translated over 135,000 verses from Sanskrit to Tibetan and taught up to 20,000 students at a time. He is also remembered for bringing the lineage and practice of Dharma Protector Setrap from India to Tibet. Khyungpo Neljor: The 8th incarnation of H.E. Tsem Rinpoche, Khedrub Khyungpo Neljor was the 11th Century scholar who received many Tantric teachings and initiations from the dakinis Niguma and Sukhasiddhi. He went on to become the founder of the Shangpa Kagyu lineage and is said to have lived to 150 years of age. Ra Lotsawa: The 9th incarnation of H.E. Tsem Rinpoche, Ra Lotsawa Dorje Drak was the illustrious 11th Century translator best known for proliferating the powerful Yamantaka Tantras in Tibet. His greatest deeds include renovating Tibet's first monastery, Samye, which was damaged by fire in 986 CE. Shakyashri Bhadra: The renowned Indian Mahapandita and abbot of both Nalanda and Vikramashila Monasteries who preserved and proliferated the logic teachings and Tantric lineages from India to Tibet. Buton Rinchen Drub: The great scholar-translator who compiled the Kangyur (the Buddha's spoken teachings) and Tangyur (commentaries on the Buddha's teachings) which are the two principal references for all Tibetan Buddhist traditions today. Sakya Pandita Kunga Gyaltsen: The fourth of the illustrious Five Founding Patriarchs of the Sakya school of Tibetan Buddhism. He was a renowned scholar, a remarkable debater, and a master of accomplishment who exhibited numerous signs of clairvoyance, pure visions and miraculous powers. Tsarchen Losal Gyatso: The Vajrayogini lineage holder who founded the Tsarpa sub-sect of the Sakya tradition. He was renowned for his poetic writings and for his pure visions of tantric deities including Vajrayogini, Yamantaka, Chakrasamvara and Kalachakra. Duldzin Drakpa Gyaltsen: The Vinaya Holder renowned for the purity of his vows, morality and conduct. One of Lama Tsongkhapa's eight main disciples, he built the original Gaden Monastery in Tibet to preserve the precious teachings of his beloved master. Panchen Sonam Drakpa: The erudite scholar, debate master, and the only person in history to have held the position of Abbot in all three major Gelug monasteries - Gaden, Sera and Drepung. He was also the 15th Gaden Tripa. *As this is an offering, no items will be shipped. Easy convenient way to facilitate dharma contribution and offerings.